Some kitchen cabinet painting ideas are: faux painting kitchen cabinets, antique painting kitchen cabinets which is sometimes referred to as glazing kitchen cabinets or just plain old paint rolled onto your cabinet surfaces. If you are looking for cabinet painting ideas, try searching through magazines which can be picked up free at any home center to get ideas. There are so many different styles and colors to choose from. Try to narrow down your color choices to those you plan to pick up throughout the theme of your kitchen. Some popular painting ideas are choosing colors used in combinations of two or three colors in a palette. 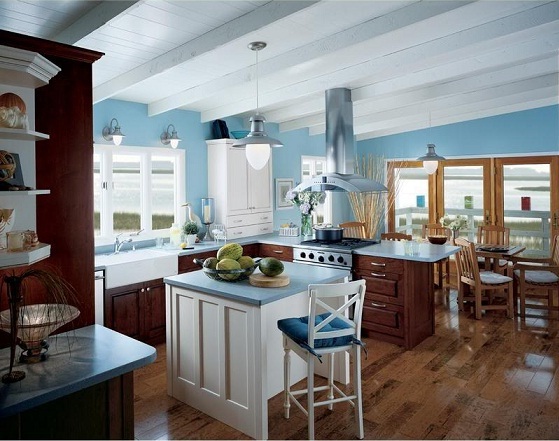 Love the look of a country kitchen but like the airy feel of crisp clean colors? For example painting your wall cabinets an off white or neutral cream color and painting the island or base cabinets an apple green. Have multiple islands or peninsulas? Go with a apple green and a sky blue. 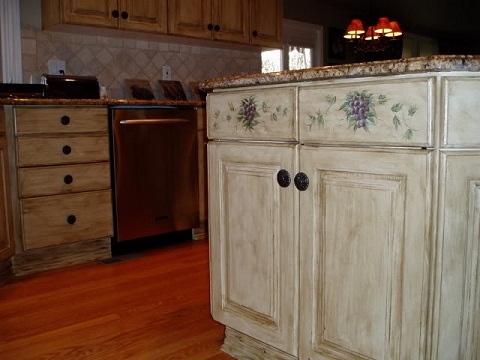 The key to making these colors work is to give the cabinets a color washed or glazed kitchen cabinet look. This combination of pastel colors looks great with stainless steel appliances and counter tops in a contrasting color. When choosing pastels you may want to age the 'furniture' a little. This is easily accomplished by adding a glazing compound which requires you to wipe off excess paint along cabinet frames and edges. Don't have enough of an aged look after the paint has dried? Lightly sand the edges with a fine grit sandpaper to expose the wood underneath. 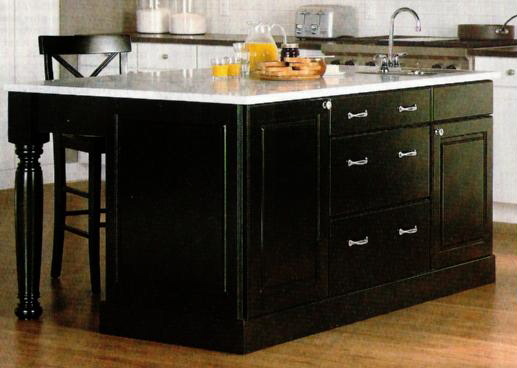 As you can see, kitchen cabinet painting ideas can be simple. Adding a few pieces of handcrafted pottery in varied colors can tie the green, blue and white pieces together while giving the kitchen an aged yet fresh clean look. Search for pottery pitchers to place in open kitchen cabinet shelves or on counters as 'crocks' to store spatulas and wooden spoons.